This recipe uses the entire fish, stuffed with herbs and lemon. If you're looking for a quick and flavorful meal, this is definitely a must try! Mix together parsley, olive oil, basil, rosemary, and garlic. Split mixture in half. Spread half evenly on the inside of each fish. Top with lemon slices (about 2 to 3 per fish). Place fish onto a large plate and cover with plastic wrap. Refrigerate for 2 hours. Preheat grill for medium heat. Once it comes up to temperature and you are ready to place fish onto the grill, oil the grill grates. Make about 3 passes across the grill to create a non-stick surface. Carefully place fish onto the grill grate and cook for 4 to 5 minutes on each side. Make sure to watch for burning. Using a large heat-resistant spatula, gently work fish away from the grate and turn. 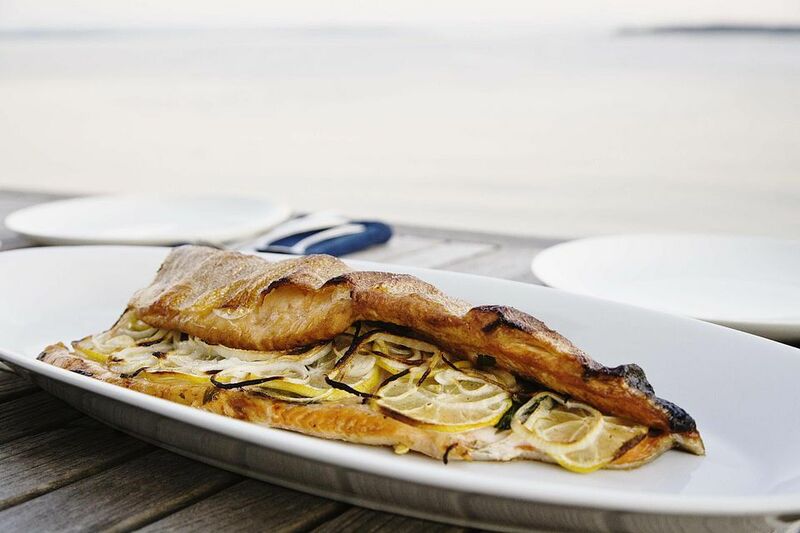 Cook for an additional 4 to 6 minutes or until internal temperature reaches at least 145 F.
Once fish has cooked, remove from heat and place onto a large cutting board. Remove lemon slices from the center and squeeze a little fresh lemon juice over fresh flesh (this step is optional). Serve with your favorite sides.